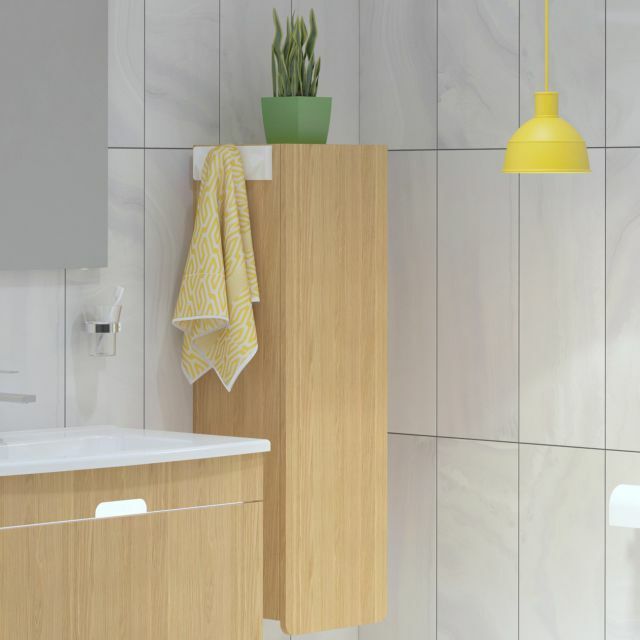 D-Light by VitrA is a lovely bright, colourful and playful modern range of bathroom furniture. 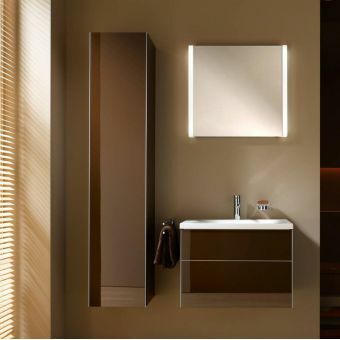 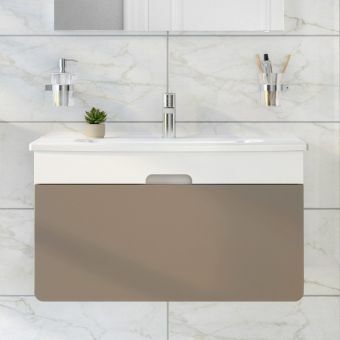 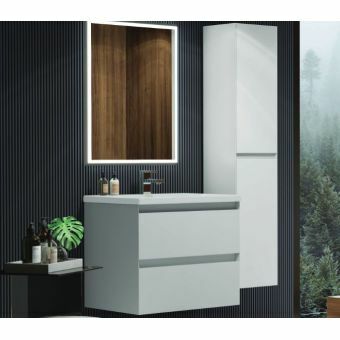 These pieces look wonderful installed as a set but can also be worked into other bathroom designs thanks to their modern, simple design appeal and stylish colour options. 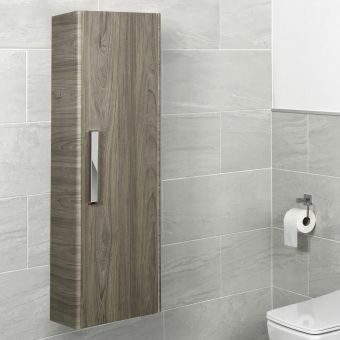 The unit is wall mounted and includes the fixings, it has a right hand hinge and soft slow closing mechanism for comfort and ease of use every day, and this is also safer for children as the doors wont slam shut on little fingers! 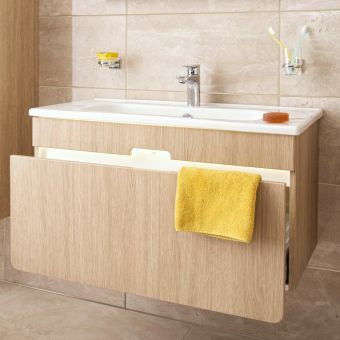 The unit can be upgrade with 2 accessories, a towel hook with 2 hooks or a towel rail which can either be used as a toilet roll holder or a handy petite rail for all sorts of bathroom accessories, face cloths, hairbrushes, body brushes or sponges or loofahs for example. 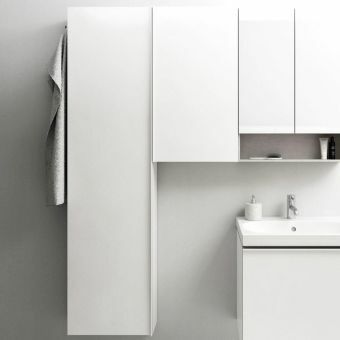 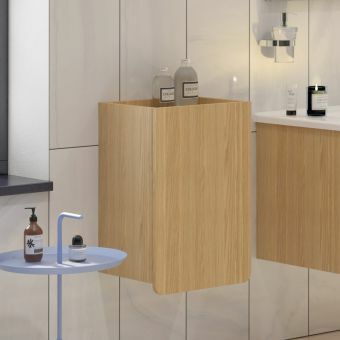 These optional upgrades are simply slotted over the left right or left hand top of the unit, and are made in matt white powder coated steel which matches the matt white colour options perfectly, and is a nice neutral addition to the natural oak colour finish. 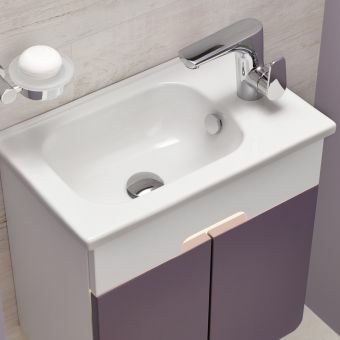 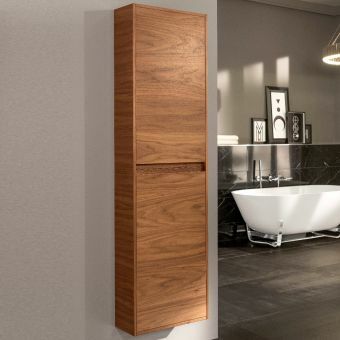 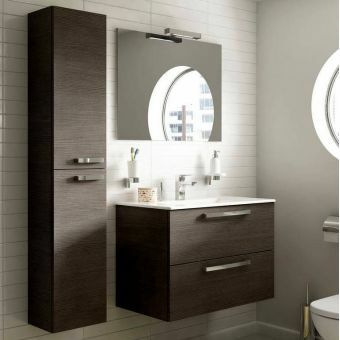 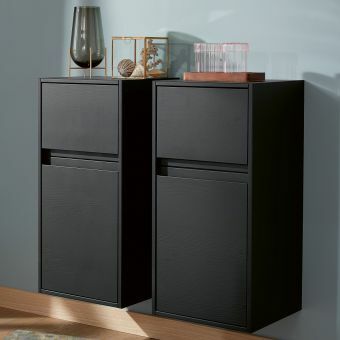 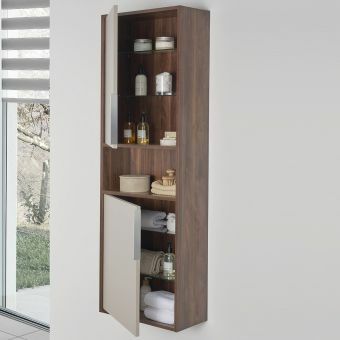 Pair with other pieces from VitrA for the perfect bathroom!